Another summer sailing season is winding down in Maine, although September is absolutely spectacular sailing up here, and the anchorages are empty, so you can easily find a spot in some of those popular spots like Buckle and Pulpit Harbor. But for Norseman 447 Rocinante, she’s found a spot ashore. It’s time to give her bottom a little Vitamin D. It’s been 18 months and well over 6,000 nm since she’s been out of the water. We’ve had a great year and a half exploring, meeting new friends, making conservation videos for Hello Ocean and as always, learning, learning, learning more about sailing, simplicity and ourselves… the ocean kinda forces that on you whether you like it or not. 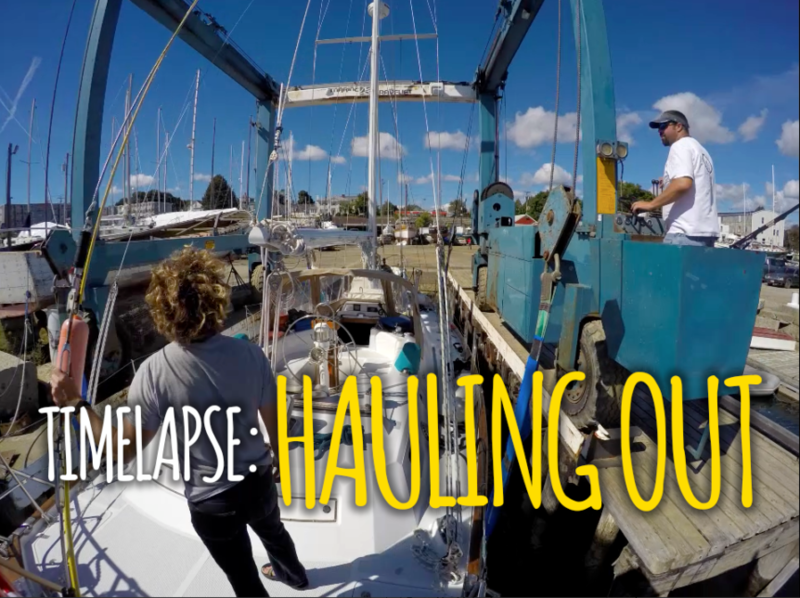 Always endeavoring to keep her in tip-top shape… there’s a list of projects that we want to tackle, and alot of them require the boat be hauled out. So let the games begin, the projects commence, and the winter covers erected. Here’s a quick video from Rocinante’s POV of being plucked from the cold bath… watch it on YouTube and subscribe! And if you aren’t following us on Instagram, do it! We post alot there lately. Our profile is teresaandben, but it’s mostly Ben posting. I am about to buy a dink for a power boat I am looking at. I am a big guy and balance and stability are my concern. Every boat and every person is different, and each dinghy option has its pros and cons, and each is a trade off of some kind. If you have the room to store, and the power to lift, a Boston Whaler would be a cool choice. Inflatables are nice to have, a little lighter and still go fast, but always end up leaking air long before you think they should. Storage, weight, ruggedness, steal-ability, and your intended uses are all factors to consider. Spent many years sailing with a Boston Whaler in tow. I was thankful for it every time I used it !